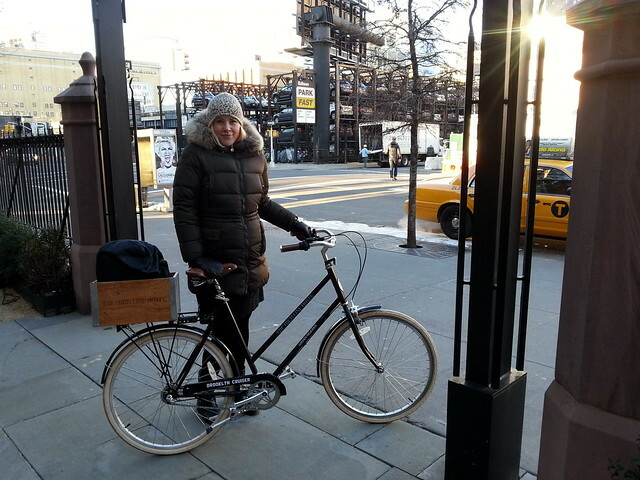 Our very good friends Ole and Lærke from the company Purpose Makers headed to New York City last week for some work. Being Copenhageners, they immediately acquired bicycles - and from a cool local company, of course. All their transport was done on their bicycles. 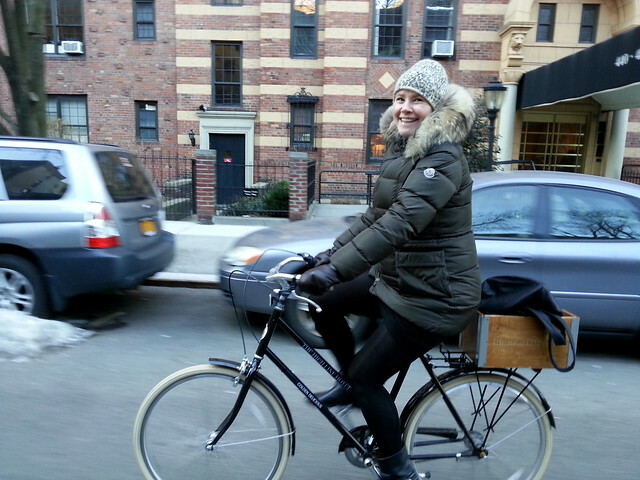 Here we have Lærke - six months pregnant, by the way, enjoying cycling in the city despite the -15 degree temperature. 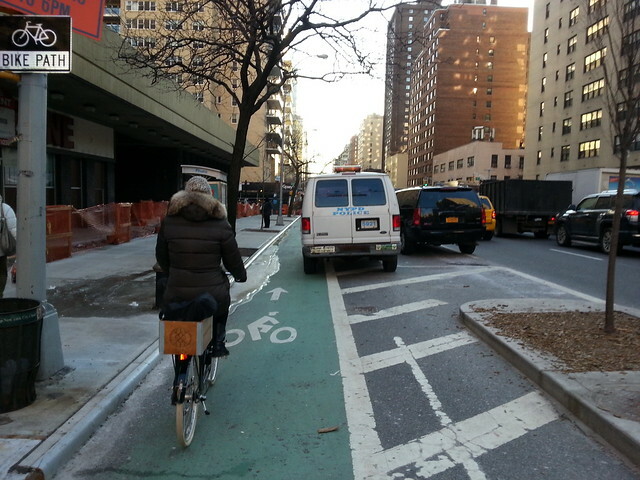 A trip to New York is not complete without a photo of an NYPD vehicle parked in the bike lane. It's as New York as a hot dog stand. 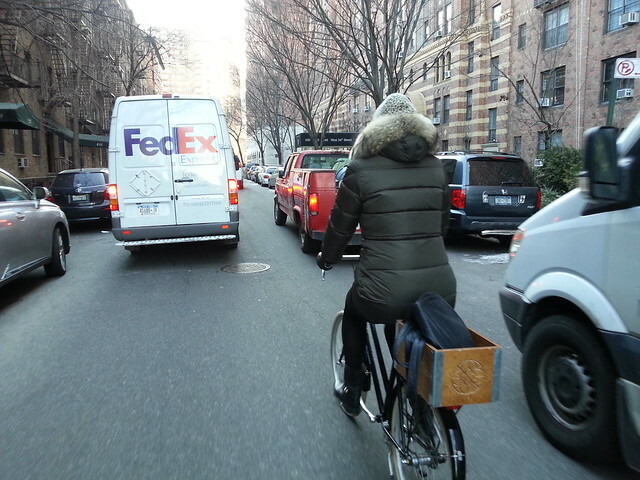 A practical bike was necessary when you're riding around going to meetings all week. 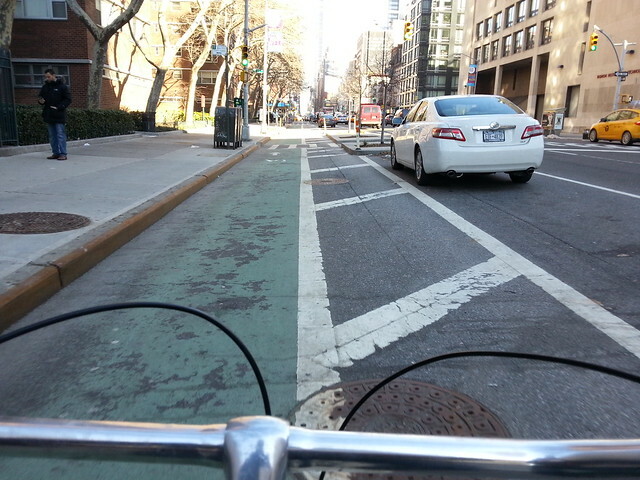 Sometimes it was all Copenhagen-esque when riding around. Sometimes, you're not in Kansas anymore, Toto. Nevertheless, it was a brilliant trip by all accounts. And cycling whilst pregnant? Yeah, we've covered THAT before here on the blog. Have a look at the articles on the Bicycles and Pregnancy tag.